Please check out our REVIEWS on weedmaps! >Best doctor in town!! If you're looking for a doctor with the "hands on" care method Dr.Manstof is your man. He's by far the most knowledgeable advocate of medical marijuana I've come across. We sat down for an hour and a half in his office discussing the "basics" of medical cannabis use, everything a beginner would need to know before hand. We talked about various cannabinoids that help treat my conditions and he showed me numerous ways of medicating with cannabis like tinctures,topical creams, etc Dr.Manstof listens to his patients and is truly there to help you he's not just there to make a quick 200 bucks Like green docs. When our time was up Dr.Manstof asked me "if there was anything i could do to be better at my job" that alone showed me that he cares about my well being and of course I said "no keep doing what your doing" cause that's the truth. >Dr. Manstof is extremely knowledgeable about the medical benefits of cannabis and explains everything in a very easy to understand way. He personalizes the consultation so that he focuses in on your specific symptoms and comes up with various options to treat them. You definitely come away with a positive feeling and all of your questions answered, and that he really cares. You can tell that he has researched the latest information on cannabis and is a very strong advocate of using it and helps you understand how it will benefit you. I highly recommend Dr. Manstof if you are interested in trying cannabis to treat whatever medical issues you may have. >Dr. 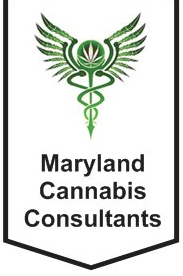 Manstof with MD Cannabis Consultants is very knowledgeable, friendly and a caring Dr. He is a great advocate for the medical marijuana program and will go the extra mile to ensure that you understand everything before leaving his office. On top of that, he makes himself available by text if you have any questions at all. Highly recommend! >Dr. Manstoff is an excellent doctor that cares about his patients! He spent a lot of time with me sharing all of his knowledge of medical marijuana. I look forward to trying out his recommendations. I now have hope that I can treat my pain in a safer way. If you are looking for a DR that is well educated in this field, look no further! >I am so happy to have met Dr. Manstof. He took the awkwardness out my quest to get certified. It was amazing to hear how much he knows about Cannabis and how thoroughly he counsels his patients. I felt immediately at ease and have had many follow up calls with him. He is readily available for questions or concerns. >Dr. Manstoff created a comfortable atmosphere, while sharing his expert knowledge on cannabis and the different ways it can be used to help my medical condition. He has provided A+ customer service and insight and is available to answer any questions I may have. >Dr. Manstof has thoroughly researched every aspect of the medicinal properties of the cannabis flower. From the start he was professional in his consultation to see if cannabis was the right choice for me. He described the effect different strains would have on my body, based on my needs. I have a qualifying medical condition that cannabis was the perfect choice to help treat. I also use it for depression, anxiety, as well as restless leg syndrome. Dr. Manstof keeps me in the loop on the latest developments in the Maryland Medical cannabis journey. If you're looking for a LOCAL EXPERT, he's your man! >Dr. Manstof was very thorough and professional from beginning to end of my appointment. 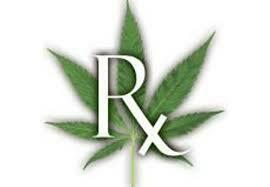 He is very knowledgeable on the many aspects of medical marijuana. He has definitely done his homework to keep up with the constantly updating flow of information about MM. I would recommend him to anyone wanting a professional, discreet and confident experience with getting your Medical Marijuana Certification. >Many providers are taking their fee, then they send the patient on his/her way. Dr. Manstof has not only educated me, but he has also checked in every few days, and has given me real-time advice for the past 4 months! He has been researching the medicinal properties of cannabis. His knowledge base is incredible! He believes whole-heartedly in the power of cannabis as medicine! If you choose Dr. Manstof to be your provider, you will be getting much more than certification with the commission! He is not a doc in a box!